It’s a bit nuts that to grow up our children have to unlearn so much. It’s said all babies are scientists, and all children are artists; yet by adulthood most are not. To grow into this world they forget to inquire about everything, forget how to create. Similarly, it’s a bit nuts that this doctor who chose medicine to become a healer had to unlearn a lot of medical school in order to heal anyone properly! I had to relearn to use the word ‘heart’ to mean the site of your deepest sense of self. I think that I have healed far more by treating that heart than I ever would have if I had chosen cardiology, however many lives I might have saved that way. Generally, people who worry they’re crazy aren’t crazy, just worried. The maddest people usually don’t know they’re mad. Same for the world. Knowing that it’s a bit nuts can provide a bit of sanity. 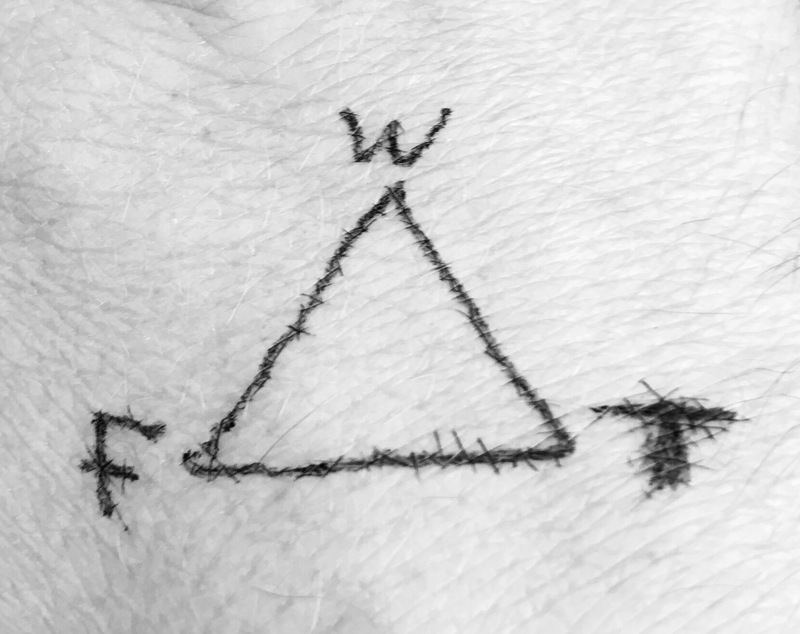 This WFT triad is what hearts are best at, the place where worded thoughts from above meet wordless feelings rising from below. In your heart of hearts is where you work out who to trust – hopefully a person who hears your words for your feelings, and nods in understanding. They get it. Then your mind and body know where those feelings belong, filed somewhere safe and enduring. Somewhere a little out of the way so you can get on with things, but close enough by that you can call on what you’ve filed and navigate by it. So you work out what to do. That is what I mean by healing. To help people live better I take my heart to work and I seek people’s trust. Sometimes words come, sometimes not, but all feelings are allowed. This helps them move along, flowing through between us as evolution designed it. They’re signals, and like any signal when the message gets through, it fades, job done for now. How did I learn to do this? Who has taught me most deeply? Babies. The least crazy people I’ve ever met are babies. Anyone who’s met and got to know a newborn knows that good or evil are not within that little heart. They aren’t good or bad until we call them so. For sleeping well and making less trouble for us adults a baby can be called good. An angel, even! For struggling to settle, however, for taking us with them into their discomfort, a baby is often called some version of bad, like clingy or difficult. A little devil, even. We keep and cuddle the feelings we like, we take happy snaps and selfies, we share them with the world. The feelings we don’t like we call difficult or clingy. We can shut them away, closing the door and waiting for the crying to stop. Extinction is the word for the cry that stops because the door stayed closed and hope ran out. Extinction of the cry completes the madness. Only then, when the crier has completely given up and gone quiet, is all hope lost and the world of humans finally totally nuts. So: My hope for our species to avoid actual extinction hangs on a tear that’s allowed to run down a cheek without being wiped away and said sorry for. That is why when someone cries in my office, in my heart I say thank you. Because somehow a person felt their cry could be heard I can look out that window over those parked cars and think the world is only a bit nuts. At a moment like that I can feel that the world’s kind of crazy is a little more kind than crazy. My gratitude as always to those who have helped me develop and refine this piece. Previous: Previous post: Born on the Battlefield? Why our kids need a Gender Ceasefire.